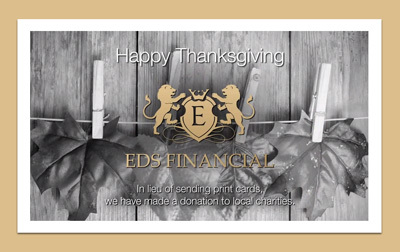 Our Thanksgiving ecards for business provide a simple and effective way to both stay in touch and thank clients for their loyalty! 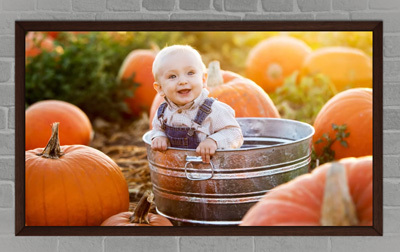 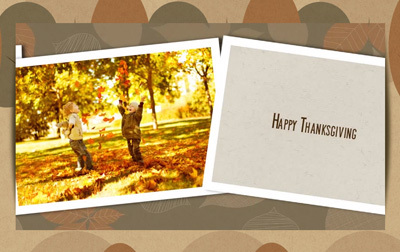 Our business Thanksgiving e-cards use the same templates as our other holiday ecards. 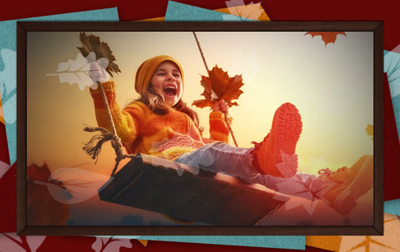 Simply rebranding them with a client's logo and colors, but substituting the winter holiday text and photography with text and photography more characteristic of Thanksgiving and the fall season. 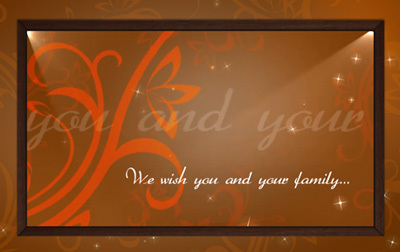 This creates the perfect electronic greeting to send your clients and customers for Thanksgiving. 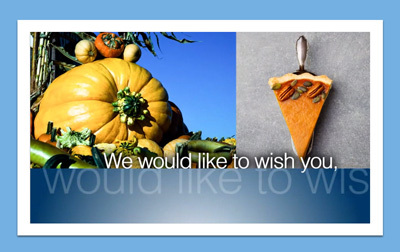 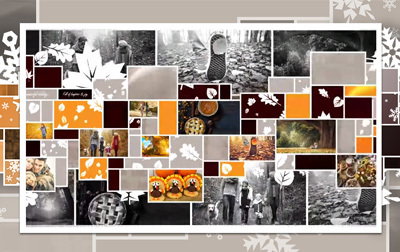 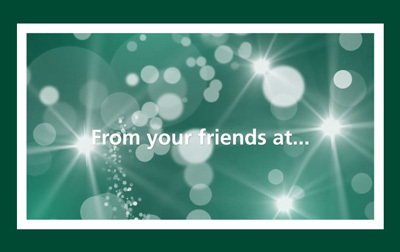 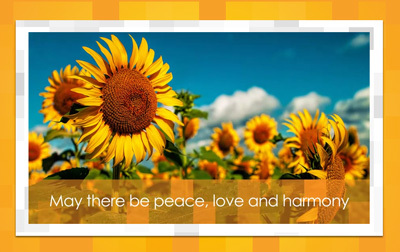 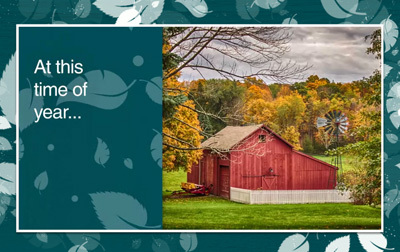 Below, you'll find samples of our business e-cards customized for Thanksgiving. 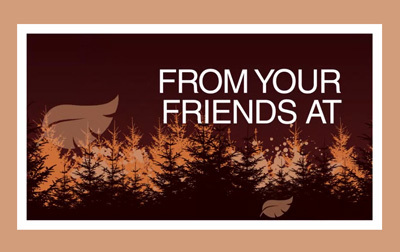 Get a Thanksgiving sample delivered to your inbox! 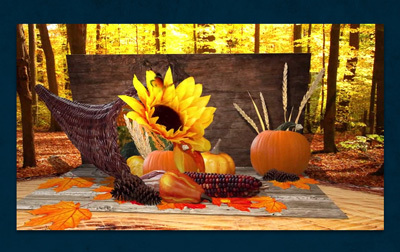 Here's the current pricing for our business Thanksgiving holiday ecards. 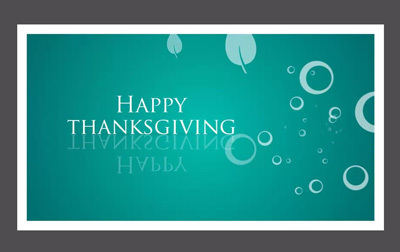 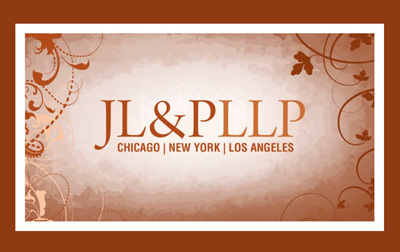 Thanksgiving ecard samples with "BPT" in name. 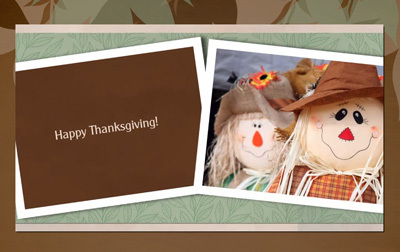 Thanksgiving ecard samples with "SS" in name. 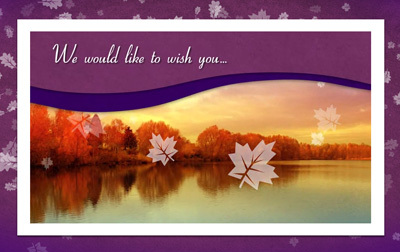 Thanksgiving ecard samples with "BI" in name. 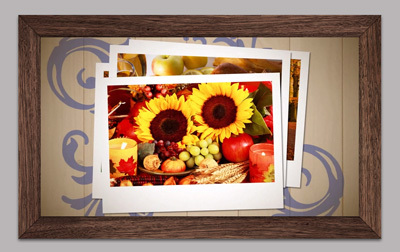 Thanksgiving ecard samples with "PU" in name. 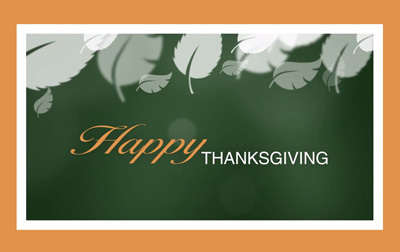 Thanksgiving is an important occasion that is observed as a national holiday in Canada and many other nations. 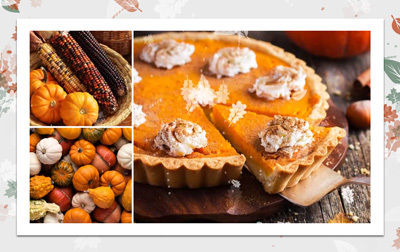 Various customs and traditions are linked to the Thanksgiving Day. 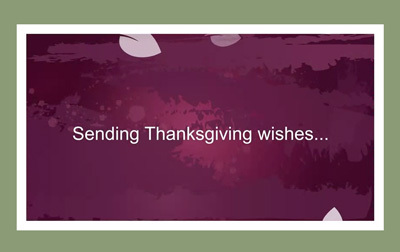 Sending Thanksgiving greeting cards to friends and loved ones to show your love and affection towards them is an old tradition. 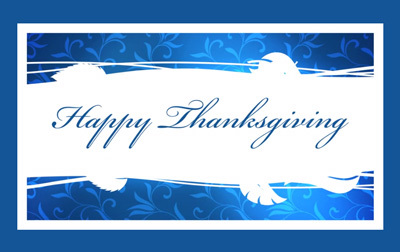 Thanksgiving corporate greeting cards can be a great tool for businesses to connect with their customers and clients. 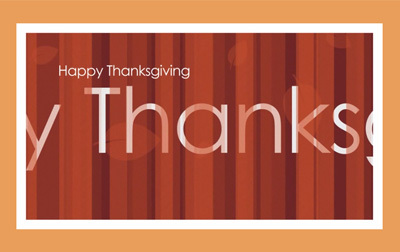 Sending Thanksgiving E-cards to your customers and colleagues is an excellent way to foster your personal and professional relationship with them. 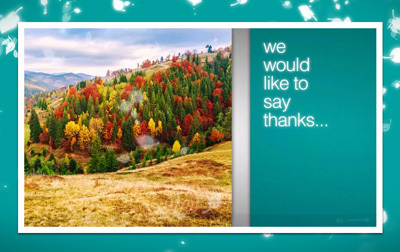 Sending corporate Thanksgiving cards is important to let your clients and colleagues know that you value them. 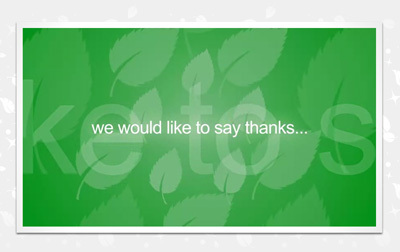 This little gesture, in turn, makes them remember your company in the future. 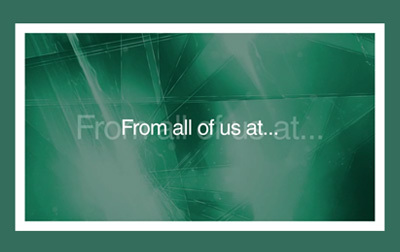 We have been providing high-quality, creative corporate e-cards to our customers since 2003. 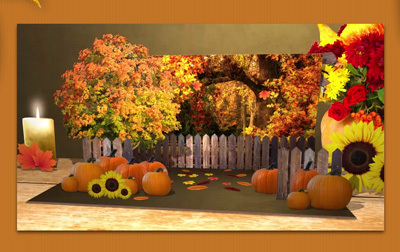 If you want to send creative and personalized corporate e-cards to your customers for Thanksgiving Day, contact us today!